Enter our Sprayway Giveaway for your chance to win a brand new GoreTex waterproof rain jacket! To celebrate 40 years of keeping the great Irish public dry when hillwalking, we are delighted to giveaway 2 Sprayway waterproof jackets. 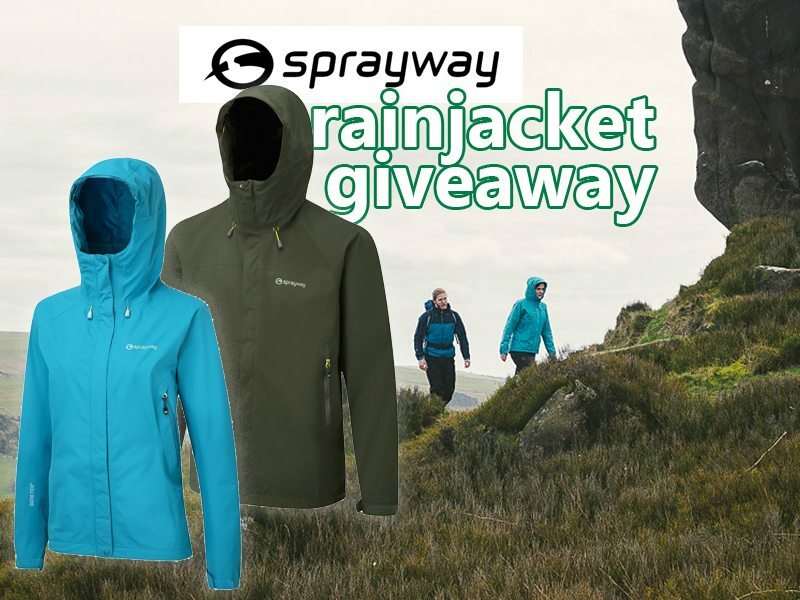 We are delighted that Sprayway have given us 2 of their top end GoreTex jackets for the Sprayway Giveaway. When it comes to waterproof jackets, Sprayway know what they’re doing. Please read and agree to the Ts & Cs below to enter. Full terms and conditions The following are the terms and conditions of the Great Outdoors Sprayway Giveaway 2016. Your participation in the competition shall be deemed to be your complete acceptance of the terms and conditions herein. •The winners will be announced via social media channels on Friday, September 30th. •Closing date for all applications is Midnight on Thursday, September 29th.